This could make it easier to lose unwanted weight. Our bodies are home to two types of fat, one “good” and the other “bad.” The “good,” brown fat found near our necks and shoulders aids in the process of burning calories, while the “bad,” white fat in areas like our hips, bellies, and thighs simply stores calories. Now, scientists from Washington University School of Medicine in St. Louis think they’ve found a way to convert bad fat into good. Their research has been published in Cell Reports. The researchers found that by genetically engineering mice that didn’t produce a protein called PexRAP, they could turn white fat into beige fat, an intermediary between white and brown fat that functions more like the latter. 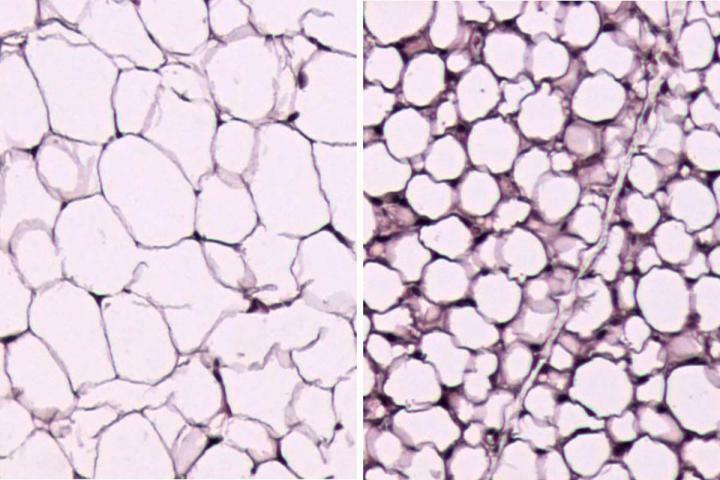 The mice without PexRAP in their white fat cells were found to have more beige fat. What’s more, they were leaner than the control animals, even when they were eating the same amount of food. The researchers hope that the results of their tests on mice could yield better treatments for obesity and diabetes caused by weight gain in humans. The next challenge is to figure out how this technique can be modified for human usage. More than two-thirds of adults in the U.S. are either overweight or obese, and some 30 million people suffer from diabetes. Blocking the production of the PexRAP protein could potentially make it easier for those people to lose weight. However, researchers and drug manufacturers will have a few important hurdles to overcome before they can bring a product to market. “The challenge will be finding safe ways to [block the PexRAP protein] without causing a person to overheat or develop a fever, but drug developers now have a good target,” said Lodhi.